LocateIt helps you to find your geographic position, altitude, speed, coordinates and distance travelled. 1. Your location on map. 3. Altitude (meters/feet above mean sea level). 4. Coordinates (latitude and longitude). App is totally customizable – you can precisely configure what information is presented on screen. App supports iCloud data synchronization – LocateIt settings on all iOS devices with same iCloud account will be synchronized. 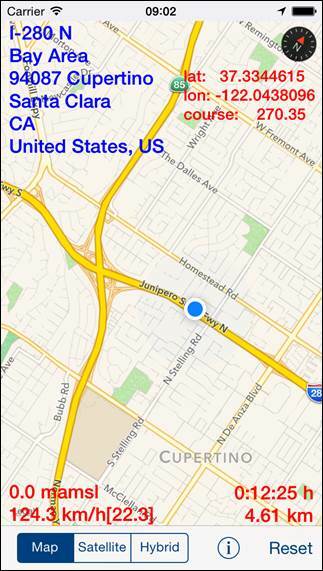 LocateIt utilizes new iOS7, OS8 feature: Background Fetch – app status is updated in the background.